Harding has been awarded contracts for nine FF1200 freefall lifeboat systems complete with davits on Heerema Offshore Services BV’s Semi Submersible Crane Vessel Sleipnir. 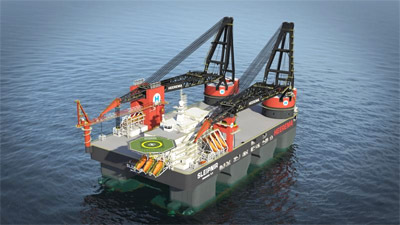 The vessel will be built by Sembcorp Marine at its flagship Tuas Boulevard Yard in Singapore. Heerema’s Sleipnir is one of just a handful of large offshore projects currently running, along with the Johan Sverdrup Field Centre in Norway, where Harding is also a supplier. “Everyone is talking about Sverdrup, but this project is every bit as big, with just as many systems,” says Harding’s regional sales manager Oddgeir Mælen.